2018 Brings More Magic Than Ever to Walt Disney World Resort! Make Your Own Mickey Brownies! The strength behind the cast of Star Wars: The Last Jedi. See the movie in theaters now. Newly restored vintage Walt Disney World footage is next best thing to a time machine. Is the Bibbidi Bobbidi Boutique worth it? Trying to Eat Healthier In 2018? Put Your Disney Snacks on Leggings Instead! There’s a Disney Princess movie for every part of your life! Time to complete your Jedi training. Chrisbumps in the Disnerland: WHAT IF THE RIDES WERE CHRISBUMPS TOO?! You don’t have to go to a galaxy far, far away to cuddle up with a Porg! News: Tiffins Prix Fixe Menus! Plus: Review of Two New Eats in Pandora! Here’s your chance to fly the Millennium Falcon! Is Disney testing a Porg Meet & Greet in Japan? Wear your favorites on your sleeve! Her Universe is available on Disney Store now. Why Do So Many ‘Star Wars’ Fans Hate ‘The Last Jedi’? The Porg is strong with these gift ideas! Seven Dwarfs MagicBand: Now also in red? Disney News Roundup: Disney Buys Fox, what else can happen? Meet ‘n’ greet Walt Disney World’s first Sumatran tiger cubs, Anala and Jeda, at Animal Kingdom! Chrisbumps in the Disnerland: CHRISBUMPS CAN WAIT FOR JEBIDIAH! What will Disney theme parks do with Fox properties like X-Men and the Simpsons? Don’t fight the Force. See Star Wars: The Last Jedi in theaters. News: Captain Phasma Stein Debuts in Disneyland! Ring in the New Year with New Mickey Ears! Park Pack Exclusive Ornaments Now Available In Shop Disney Parks App, & On Sale Too! Become a Wilderness Explorer with Dug and Russell from Up! Another Chance to Spend the Night in Cinderella’s Castle Suite! Get ready to experience Walt Disney World from a bird’s eye view! 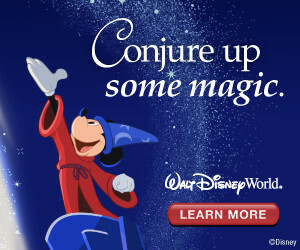 Disney Stuff They Want — Just in Time for Christmas! Star Wars is streaming The Last Jedi premiere from a red carpet far, far away. Watch LIVE! It’s a world of laughter, a world of wreaths. 2018 WDW Swan and Dolphin Food and Wine Classic Dates Announced! 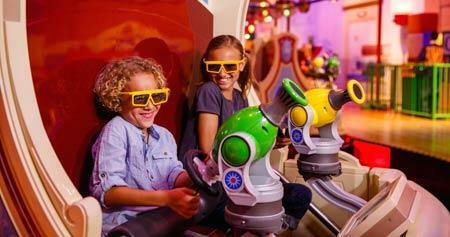 Bring a little Joy to your life with the Pixar Play Parade! The Iconic Muppet’s Fountain Opening Soon! Whatever Happened to Club 33 at Walt Disney World? Could This Chocolate Peppermint Pie Be The Best Disneyland Holiday Treat Ever?